Continuously improving upon the user experience of its platform, Pinterest is beginning to roll out “related pins” to its users’ home feeds. This new feature will provide an improvement on the discovery tools available within the social media site, which in turn will increase engagement rates, social sharing, and re-pinning. The suggested pins are based on a user’s current pins saved to their respective boards and any other images they have liked, providing Pinterest with a wealth of data to present uniquely tailored suggestions in news feeds. Additionally, users will have the ability to rate pins, which will instantly provide feedback and improve the pins that are shown to users. Following in the footsteps of Facebook, Twitter, and LinkedIn, Instagram has finally joined the other social media giants by presenting ads within its platform. 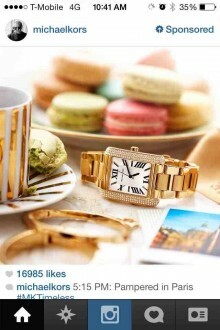 Breaking the ice, luxury brand Michael Kors promoted a visually appealing image of a gold watch, keeping a consistent look and feel with the rest of its Instagram feed. More and more, news feed advertisements are proving to be less obtrusive and cohesive with organic content shared by users. Facebook realized the potential of promoted post and page advertising, pushing the easy-to-use self-serve advertising over the traditional display ads. Twitter is planning to launch its self-serve suite of promoted products internationally after realizing success in the United States, and LinkedIn also followed suite with the introduction of sponsored updates. All in all, this social media ninja welcomes Instagram ads if it means more appealing news feeds. In anticipation of Twitter’s stock becoming public, analysts have predicted Twitter’s stock to be valued at around $23-$25 a share, up considerably from the previous estimate last month that put the price around $17-$20 a share. The reason for the increase is based on the quick demand for Twitter’s 70 million shares at the previous price, as well as the recommendations from analysts to investors to purchase as much stock as possible. Twitter is expected to finally be available on the stock exchange as early as Thursday this week. According to research prepared by Statista, Facebook currently leads the pack in driving referrals to online publishers, as the study indicates that 10.4% of web traffic originates from the social media giant. 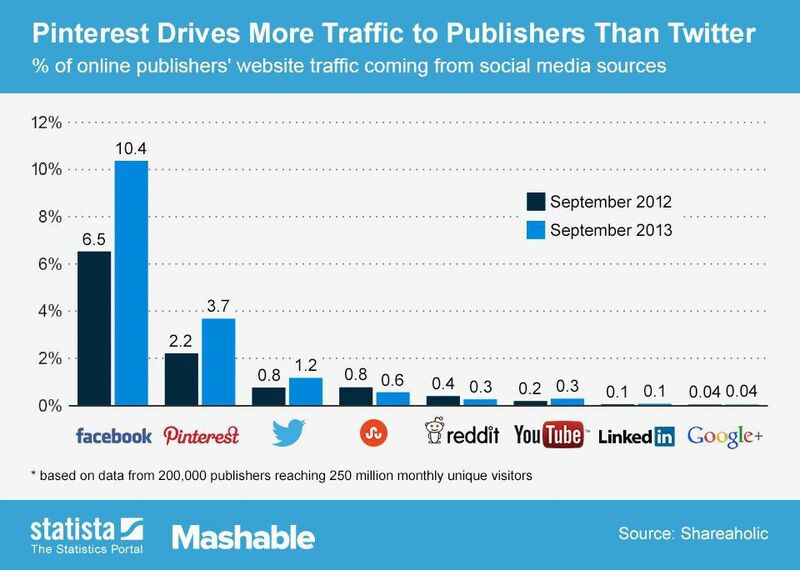 Interestingly enough, Pinterest was second among all social media networks, driving 3.7% of web traffic, more than Twitter, LinkedIn, Google+, and YouTube combined. This proves the value of Pinterest as a social media site in marketing programs, especially for e-commerce businesses that rely on high-resolution images to sell products and increase brand awareness.